The Colourful Smoothie Challenge was posted on June 27th, 2012 and is filed under Drinks & Smoothies, Giveaway, Weight Loss. This entry has 64 comments. You can follow any responses through the RSS 2.0 Comment Feed. I have been SOOOO excited about this post for weeks! The idea came to me a while ago and I started making plans to make this a super fun challenge for you guys and myself. Next Sunday (July 1st) all the fun starts! For the whole month of July I’m challenging myself to one smoothie a day – and I’m challenging you to join in with me! All you have to do is tweet me pictures of your smoothies! Come on! Who wouldn’t want to enjoy a colourful smoothie like this every day?! But that’s not all, because there are prizes! How about 5 pouches of their new Energizing Smoothie line for a grand prize? I am so excited about their new line – it’s really amazing stuff (review coming later!). Also, every week, one random participant will win one of those smoothie pouches of their choice – is that not cool?! But that is not all…FitMixer is donating the second prize! The prize is a product of their choice and a FitMixer bottle. 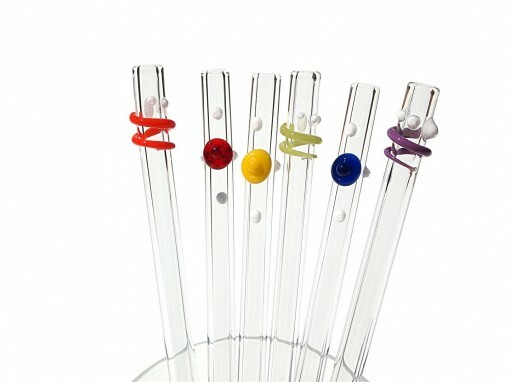 Strawesome has offered one of the contest winners one of their “Artist’s Choice” straws. I love the idea of reusable glass straws for my smoothies and am so glad they want to be a part of this! 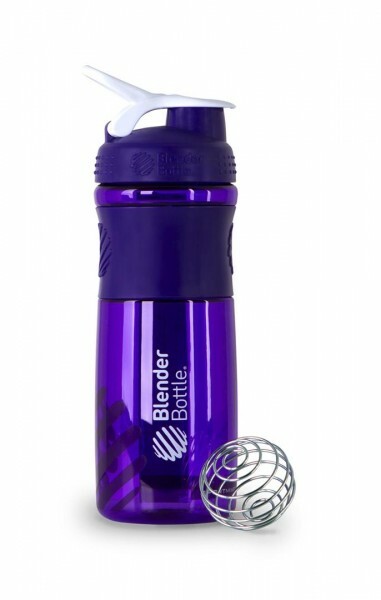 There will also be a prize of the amazing BlenderBottle for on of you participants too! Wahoo…so much good swag going on! So how do you join in on the fun? First of all, make sure to comment below and let me know if you’re planning on joining the challenge! This will make you eligible to win the weekly prize! -5 points for having a smoothie EVERY DAY for the month of July! The challenge will be over on July 31st – and the winners will be announced on the 2nd of August. The weekly prizes will be announced throughout the challenge. It’s open to US and Canada. A free Vega One sample from Vega (while available) – get yours here! If you have any questions – you can ask me on Facebook page or shoot me an email at (charissa@colourfulpalate.com). SO are you up for the challenge?! What are you goals? I can’t wait to start and do it with you all! I have at least one smoothie everyday. I just have to remember to take a pic and tweet about it. I apologize in advance for the fact that most of my smoothies are green. I need to start incorporating more smoothies into my routine. And with the warm summer temperatures, the timing couldn’t be more perfect. Thank you for the inspiration! I’ll definitely try to remember to photograph/tweet my smoothies for the challenge! Totally in for this. I already have a smoothie every day but it’s the exact same one and not exactly colorful. This will force me to try new combos. I’m in! 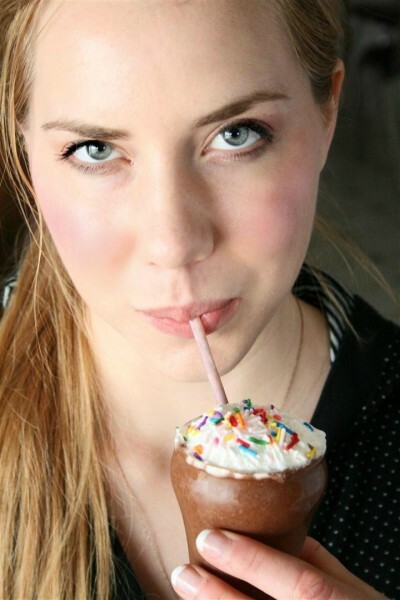 I’m already a smoothie-a-day girl, but I need to change it up, too . . . and since I’ll be on vacation at the end of the challenge, this’ll force me to be creative in working in a smoothie (will have a kitchen, at least). Looking forward to it! I’m in too – such a fun challenge and a good way for me to get back into having a smoothie for breakfast every day! Oooh fun! I have smoothies occasionally so I’ll join. I don’t think I’ll be shooting for the grand prize but it will be fun! This really sounds like a fun challenge! I LOVE LOVE LOVE smoothies! Can I just say how much I love this idea! I am so joining in on the fun! Great idea!! I am so doing this…I have already been doing smoothies every day since the weather’s gotten warmer! I’m in! So much fun! What an awesome idea — and perfect timing. I’ve been wanting to try all these green smoothies that I’ve been reading about but having gotten the courage to try! Can’t wait to get some inspiring ideas from other people too. we do one each day here. gotta get that kale and spinach in. im in and looking i’ve so got to try that coffee frappuccino! LOVE IT! I do this anyway and i LOVE VEGA!! So yummy. Great idea! We’ve been making lots of smoothies lately, too. I’ll try to remember to tweet about them! I want to do this challenge, but dam, I’m going to Europe for 8 days. I’m going to see if some how I can get a smoothie somewhere, even if I take ingredients from the hotel to make one!! Now this is going to be a challenge for me! I can’t wait! I’m going to post this challenge on my blog tomorrow! I need to get in on this with you! My smoothie consumption is lacking!! What a great challenge!!! We can use any type of ingredients for these smoothies correct? I love smoothies! I’m in for the challenge! This is such a great challenge! I told myself the other day (before you even commented on my blog) that I wanted to start drinking more smoothies. It’s such a refreshing way to get those nutrients in! 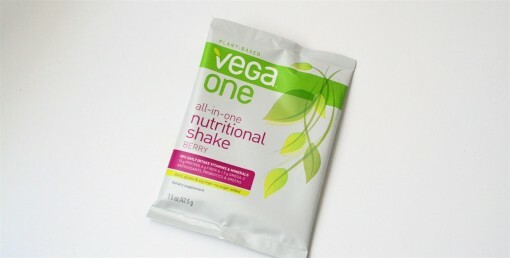 I am obsessed with Vega and have a couple of their energizing smoothie flavours so that should help me get started with the challenge! I tweeted this @runningdiabetic! And I’m so excited. I love smoothies for breakfast and I’m ready to blast away my boring vanilla with greens, purples and reds! That sounds good! Would the smoothie be a substitution for a meal? Or a snack? This sounds fun! Count me in. I think. We are having a bit of a holiday next week, so we’ll be out of town, but I’ll try to find some smoothie places. Surely San Diego has smoothie places, right? This will give me the chance to really venture out and try some fun varieties (as currently I am addicted to one particular flavor). Will you be publishing what the smoothies recipies are? That would be cool. 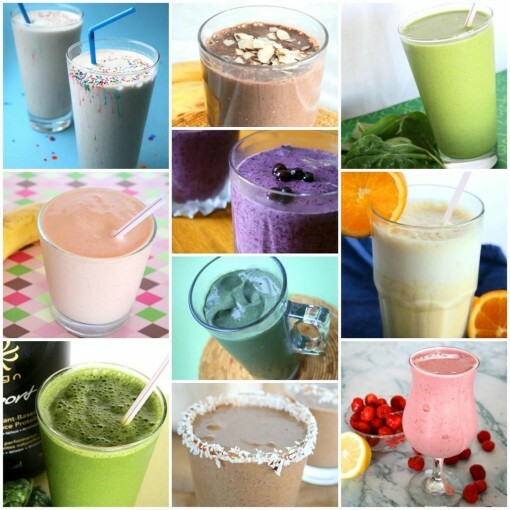 Svetlana ~ You can make whatever smoothies you want! However, I will be doing lots of smoothie recipes this month so you can try those too! I love it, I’m in! I’m training for a marathon AND a triathlon, and struggling to get enough protein in my diet as my mileage increases. I’m so excited to be a part of this! I am so glad @theathletarian.com posted about this on instagram. i hardly ever use twitter (im on IG addict) but i will tweet for this challenge! I am so on board!! I have had a rough two weeks with transitioning from a strict clean eats diet to a not no strict one and my body is not happy right now so i need to kick some of these sugar monsters i have laying around inside me and retune my body!! I dont have a blog or id share but will tweet, IG, and so on for the rest of the month of July!! Awesome once again and cant wait to dig in! i’m in! going to sock up on my fruits and veggies and blend away this july! i just hope my old Oster survives :( . these would also be a great post run snack/drink. i really need to up my protein. Wow this is so much fun. What a great idea. I’ve just discovered your blog and I’m loving it! I also make a daily smoothie (usually green too and thick!) It’s great to encourage people to drink more smoothies. Thank you. Gleamer! awesome adivce. When you’re using veggies, what is the quantity that you use so that we can get our serving of veggies with out having them overpower the fruit flavor? Also-never thought about layering bananas like that. Great tip!! Muntazir~ As much as you want – you can totally make the smoothies without veggies if you want. However, if you want a mild flavour, a big handful of spinach is a great option!